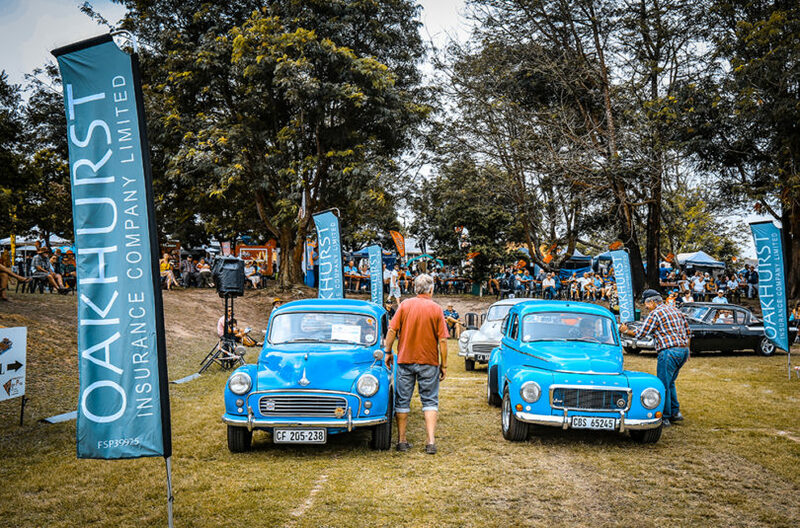 The 23rd George Old Car Show, proudly driven by Oakhurst Insurance, was held on the 9th and 10th of February in the heart of the majestic Garden Route. 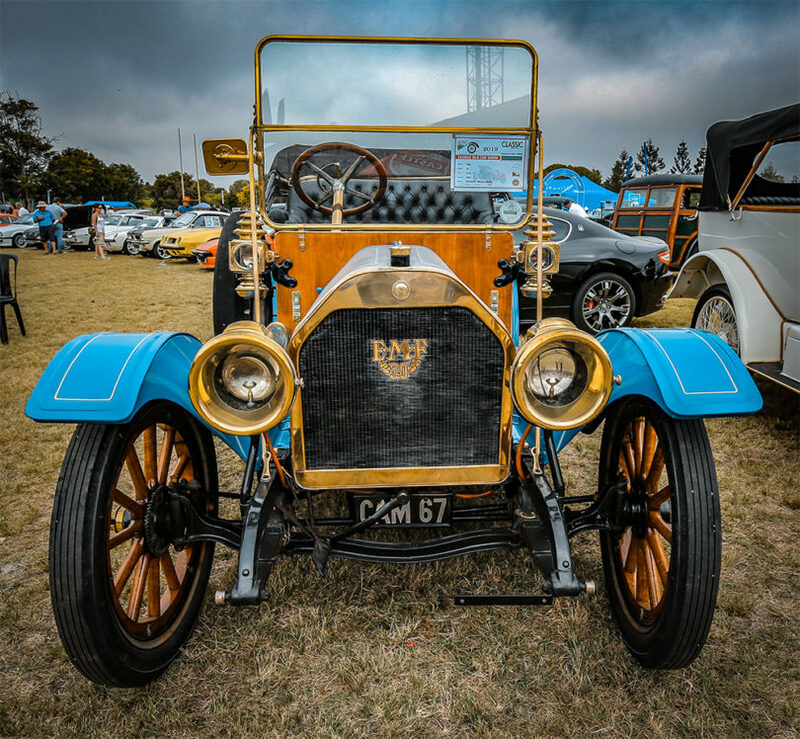 Over 13 000 car enthusiasts from all over the country and abroad descended on PW Botha College in George this weekend to admire the display of more than 800 classic and vintage cars, with this year’s focus being rare and exotic cars. Included amongst the gems on show were Dr Waldo Scribante’s 1971 Porsche 914, one of only 7 in existence as well as a true beauty from 1912, an Everitt-Metzger-Flanders (EMF) from owner Robert Middelman of Botrivier. 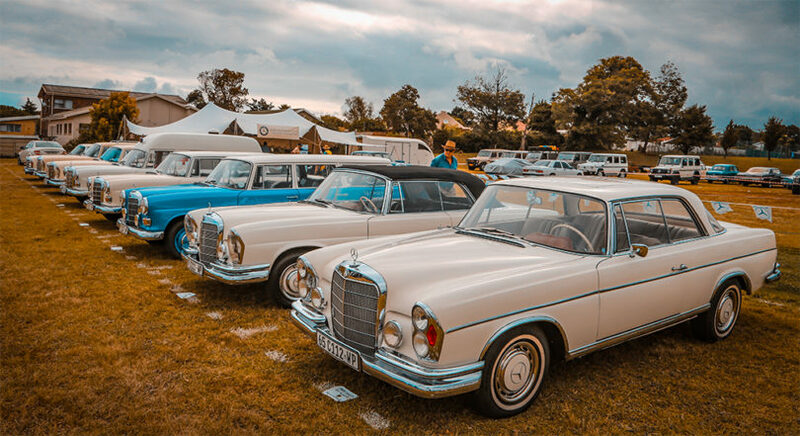 The well-known Mercedes Benz series 111/2 (affectionately known as the Vlerkie series) had a number of its cars on display as it celebrated its 60th anniversary. 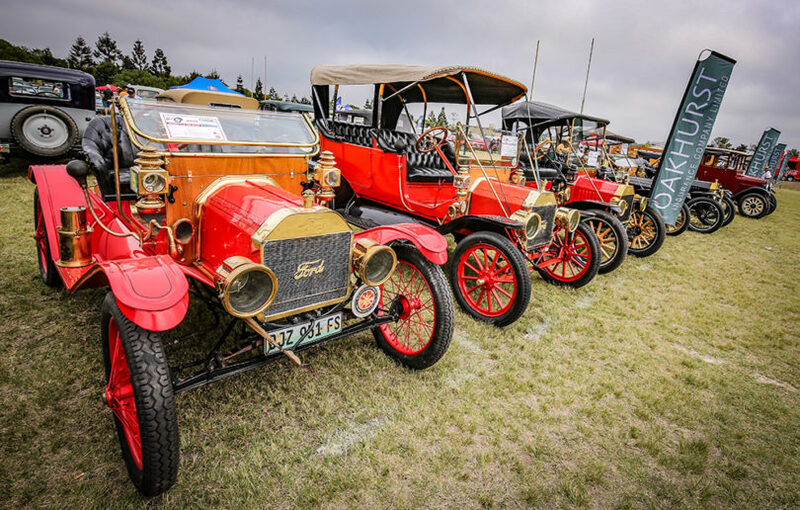 In addition to the marvellous cars, a number of new exhibits were also present, as well as old favourites like the stationary engines and the more than 5 000 model cars. Various stalls sold a range of car accessories, spare parts and novelty items. Delicious eats and refreshments were also available. 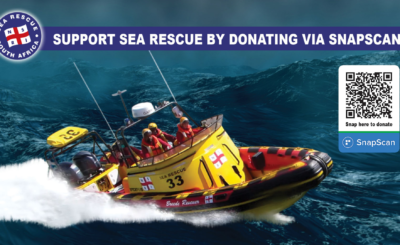 There was something for everyone to enjoy; a real feast for the senses and a great day out. 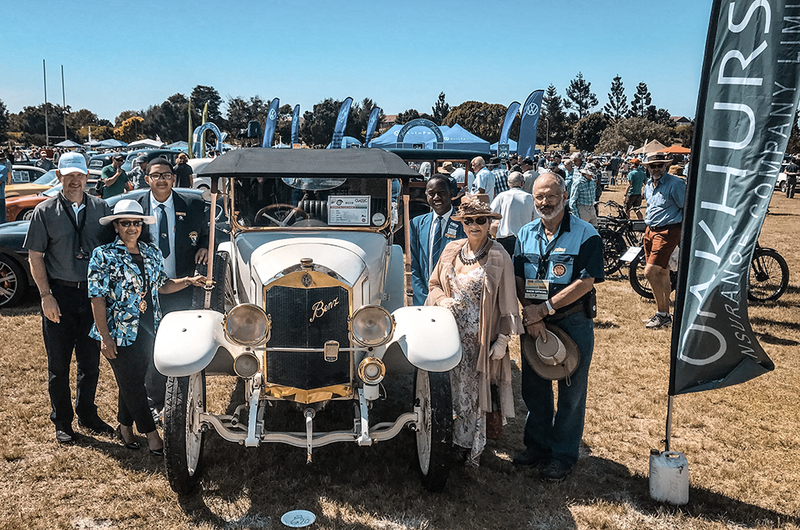 A special guest of honour was the Executive Mayor of George, Melvin Naik, who believed that the Oakhurst Insurance George Old Car Show was making a major contribution to the city and pledged a much larger donation than in previous years. 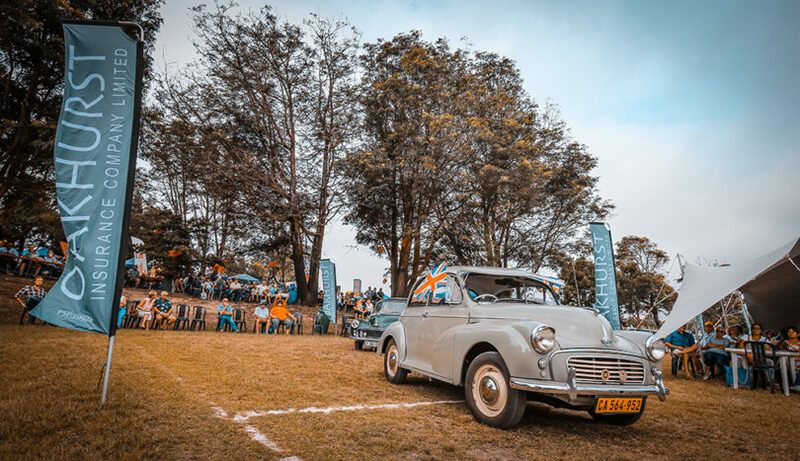 The 23rd Oakhurst Insurance George Old Car show was a truly memorable event, enjoyed by individuals and families alike. Be sure to catch next year’s event which has some exciting changes. 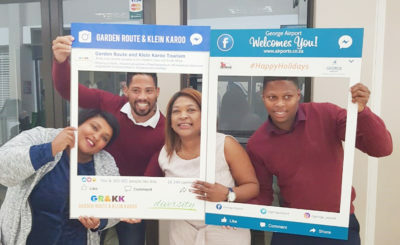 Image 1 – (From left to right): Gerhard Sonnekus – Head of Client Services at Oakhurst Insurance, Charlotte Clarke –Executive Deputy Mayor of George, Ehsanul-lee Booysen – George High School, Justin Yawe – York High School, Liza Stroebel – Councillor at George Municipality, Japie Beyers – Chairman of Southern Cape Old Car Club.